Solosez is an email community for solos sponsored by the ABA. I follow it to understand the world of solos better. Recently, one of the members expressed to his peers that he needed to do more marketing. 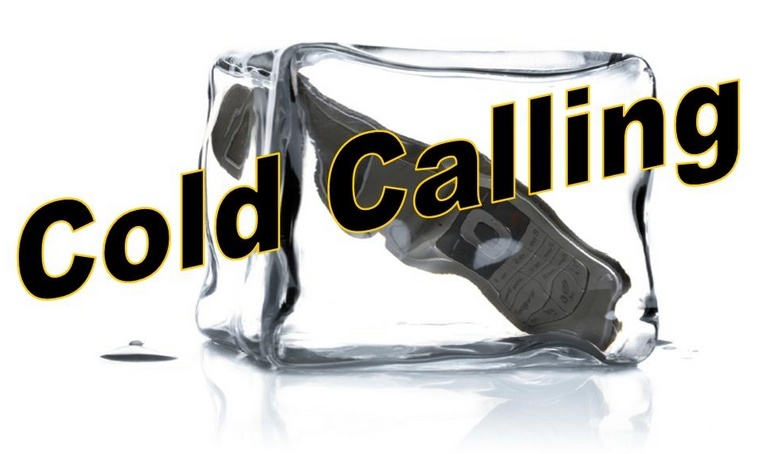 He mentioned that, since he'd once gotten a sizable client by cold-calling them, he planned to make a few cold-calls every day. He was confident that he could create a workable list of companies that could use his expertise, but asked his peers how he might improve his odds of getting business from the activity. Should he simply offer them his services? Should he invite them to lunch? The group members offered a number of suggestions, while cautioning him about violating ethics rules against solicitation. avoids any risk of being interpreted as illicit solicitation. Think of it as a big crowd-sourced article initiative. You're going to call people in specific roles in a specific industry to solicit their views on an industry issue about which you're writing an article. People love being asked their opinions, particularly when that opinion demonstrates their expertise. Define the business problem that drives demand for your primary service. This "what" leads to the "who." Identify the industry that logically would experience this problem with frequency and impact. If there are multiple industries, pick the one that you find most interesting. Identify the logical stakeholders (by functional title) whose jobs require them to care about this problem. Make a list of all your contacts in that industry. Your list will probably be too small to sustain this outreach for long, but if you manage the call properly, you'll be able to get each person to refer you to someone else for informed opinion. (See #7 below.) You can also Google that industry name and the word "conference." Mine the conference brochures for names of speakers and moderators. People who speak at conferences are generally willing to talk with you about the issue they're invested in. They also tend to know a lot of others in the industry. Offer a conclusion you've deduced about that industry issue as an informed outsider, then ask each person to comment as informed insiders. Voicemail: "My name is Mike O'Horo. You don't know me, but I saw that you're speaking about [problem] at [event]. I'm writing an article about that, and would really appreciate it if I could pick your brain for 15-20 minutes by phone when it's convenient. Please call me at [number] or email me to suggest a convenient date/time. I'm on [time zone] time." Immediately send a "sorry I missed you by phone today" email with the essence of your voice mail, again requesting a convenient time to talk. Phone call: "Thanks for agreeing to speak with me. You thought this would be a convenient time to talk. Is it still? [If yes] To this lay person, it seems like [conclusion]. You're an expert. Am I looking at this correctly, or am I completely off base?" After they offer comment, probe to understand their reasoning. Then, thank them for the help and ask, "Who else in your sphere might be willing to share their perspective in a short phone conversation like this one?" After they offer a name, ask, "Why that person?" Their answer becomes your voice mail when you call that next person. Thank them and ask how you might be able to help in return, and get permission to recontact: "Thanks. You've been a huge help. I'll let you know what happens with Sam. As you can tell from my broad questions, I'm at the early stage of researching this article. As I get better informed, would it be an imposition for me to call you back to clarify or amplify? Also, I'll be talking with a lot of people in this industry. I never know what I might stumble across. What kind of information would be useful to you?" Call to Sam, referred by Joe: Identify yourself, then, "Sam, you don't know me, but I'm writing an article about [problem]. Joe Smith at XYZ Company helped me with some interesting insight and a quote or two. He described you as [Joe's answer to 'Why Sam'] and thought you might be willing to share your insights with me, too. Might I impose on you to schedule a 15-20 minute call at your convenience?" As the shampoo instructions urge, "Repeat." When you begin, you'll have a lag time until people start calling you back, but once you get some momentum, it's important to stay consistent. Setting aside vacations, weekends and holidays, there are roughly 200 work days per year. If you attempt three such calls every day, you'll make more than 600 calls over the course of a year. It's impossible to go 0-for-600. In fact, you'll be surprised by the high percentage of people willing to talk to you, and to refer you to others. You'll absolutely create a vibrant network of people very likely to experience the problem you solve, and who associate you with that problem. When others in their network mention the problem, they'll naturally think of you, too. You'll also end up with invitations to write and speak on the topic. The key is to treat it like hygiene, i.e., do it every day. The hygiene mentality also prevents you worrying about immediate results, which you can't control. When you have something good, by all means, write the article. However, never stop the article research; that's a continuum. The intended output of this effort is a network, not an article. Did you know you can use this process to manufacture a network of contacts with exactly the characteristics and profile you want? RainmakerVT's Make Thought Leadership Pay Off: Expand Your Network from Your Desk will teach you, step-by-step, how to do this. You'll be surprised at how easy it is to do. We've got 1st-, 2nd- and 3rd-year lawyers doing it successfully as part of a client team process. If inexperienced young lawyers can do it, you can do it.